Earthquake light, emerging from the ground as flashes at night (neglecting other more minor forms), usually has a white hemispherical center and blue outer part. The blue resembles daytime blue sky. Its existence is increasingly verified, with about 80 videos on the web to mid-2017. However, the light must be differentiated from power-grid faults, so sound/color/form/length criteria were developed in this paper through examination of many videos. Light should be coseismic (i.e. when the S-waves arrive), hemispherical, not during a storm, less than 1 s long, without fire or smoke, and without many rapid color changes. Warnings about camera artifacts are included. This light accompanied two recent earthquakes: M7.8 November 14, 2016, New Zealand, and M8.1 September 8, 2017, Mexico. Definite green flash earthquake light has only been caught once on video and it is shown that others are sometimes electrical overload of mercury vapor lamps, or difficulty with classifying pale turquoise flashes that are only slightly more green than blue. Three separate frames from videos (NZ, Turkey, and Ecuador) have views actually within the blue light. These data exemplify the Freund principle of positive charge production from quartz by high stress-rate, then charge separation and expulsion to the ground surface and creation of light, but the hypotheses of quartz piezoelectricity or voltages from fracture mechanisms are not accepted. Biloiu C, Sun X, Harvey Z, Scime E (2007). An alternative method for gas temperature determination in nitrogen plasmas: fits of the bands of the first positive system (B 3Πg→A 3Σu+). J Appl Phys 101: 1-11. Derr JS (1973). Earthquake lights: a review of observations and present theories. B Seismol Soc Am 63: 2177-2187. Fidani C (2010). The earthquake lights (EQL) of the 6 April 2009 Aquila earthquake, in Central Italy. Nat Hazard Earth Sys 10: 967-978. Freund F (2011). Pre-earthquake signals: underlying physical processes. J Asian Earth Sci 41: 383-400. Freund FT, Freund MM (2015). Paradox of peroxy defects and positive holes in rocks. Part I: Effects of temperature. J Asian Earth Sci 114: 373-383. Heraud JA, Lira JA (2011). Co-seismic luminescence in Lima, 150 km from the Pisco, Peru earthquake of 15 August 2007. Nat Hazard Earth Sys 11: 1025-1036. Ikeya M (2004). Earthquakes and Animals. Singapore: World Scientific. Leeman JR, Schuderi MM, Marone C, Saffer DM, Shinbrot T (2014). On the origin and evolution of electrical signals during frictional stick slip in sheared granular material. J Geophys Res-Sol Ea 119: 4253-4268. Lichten W (2004). Lifetime measurements of metastable states in molecular nitrogen. J Chem Phys 26: 306-313. Moro M, Cannelli V, Chini M, Bignami C, Melini D, Stramondo S, Saroli M, Picchiani M, Kyriakopoulos C, Brunori CA (2015). The October 23 (2011) Van (Turkey) earthquake and its relationship with neighbouring structures. Sci Rep-Uk 4: 3959. Scoville J, Heraud J, Freund F (2015a). Pre-earthquake magnetic pulses. Nat Haz Earth Sys Sci 15: 1873-1880. Scoville J, Sornette J, Freund F (2015b). Paradox of peroxy defects and positive holes in rocks. Part II: Outflow of electric currents from stressed rocks. J Asian Earth Sci 114: 338-351. Takaki S, Ikeya M (1998). A dark discharge model of earthquake light. Jap J Appl Phys 37: 5016-5020. Terada T (1931). On luminous phenomena accompanying earthquakes. B Earthq Res I Tokyo 9: 225-255. Thériault R, St-Laurent F, Freund FT, Derr JS (2014). Prevalence of earthquake lights associated with rift environments. Seismol Res Lett 85: 159-178. Tsukuda T (1997). Sizes and some features of luminous sources associated with the 1995 Hyogo-ken Nambu Earthquake. J Phys Earth 45: 73-82. Ulusoy Ü, Ikeya M (2001). Deprem Habercisi Olaylar ve Bilimsel Yorumlar. Ankara, Turkey: Neyir Publisher (in Turkish). Ulusoy Ü, Ikeya M (2008). Retrospective statements on unusual phenomena before the Izmit-Turkey earthquake (M7.4, August 17, 1999) and their relevance to earthquake forecast. In: Ulusoy Ü, Kundu H, editors. Future Systems for Earthquake Early Warning. New York, NY, USA: Nova Science Publishers, pp. 3-53. Valcke SLA, Casey M, Lloyd GE, Kendall JM, Fisher QJ (2006). Lattice preferred orientation and seismic anisotropy in sedimentary rocks. Geophys J Int 166: 652-666. Whitehead N, Ulusoy Ü (2013). Macroscopic earthquake precursors before the September 2010 M7.1 event in Christchurch, New Zealand. Nat Hazard Earth Sys 13: 167-176. Whitehead N, Ulusoy Ü (2015). Origin of earthquake light associated with earthquakes in Christchurch, New Zealand, 2010-2011. Earth Sci Res J 19: 113-119. Wright AN, Winkler CA (1968). Light emission from active nitrogen systems. In: Wright AN, Winkler, CA, editors. Active Nitrogen: Physical Chemistry: A Series of Monographs. New York, NY, USA: Academic Press, pp. 13-64. Yasui Y (1968). A study on the luminous phenomena accompanied with earthquake (Part I). Mem Kakioka Magn Observ 13: 25- 61. ISNAD WHITEHEAD, Neil , ULUSOY, Ülkü . "Blue sky at midnight - earthquake lightning". 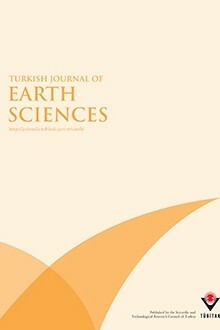 Turkish Journal of Earth Sciences 28 / 1 (January 2019): 171-186.